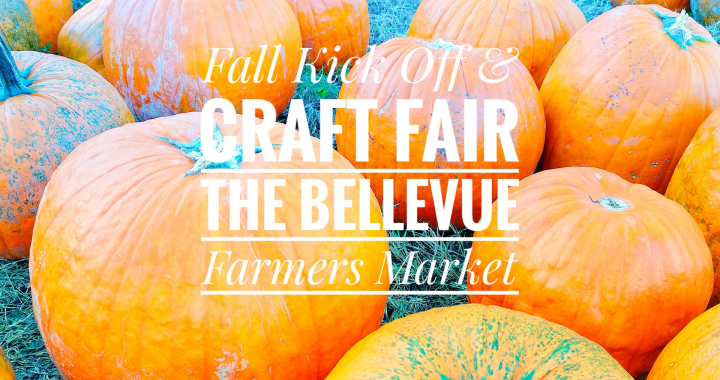 The Bellevue Farmers Market will be presenting a “Fall Kick Off & Craft Fair” on Friday, October 5th, 2018 at Red Caboose Park. Along with our regular season vendors, we will feature craft vendors and some fun activities for the kids! The special event will run during our normal market hours of 3:30 to 6:30. Please make plans to spend the night out at this free and fun community event as we prepare to close out the 2018 market season. Kids and pets in costumes are welcomed! Come pick out the perfect pumpkin! Fall vegetables and our regular season vendors!